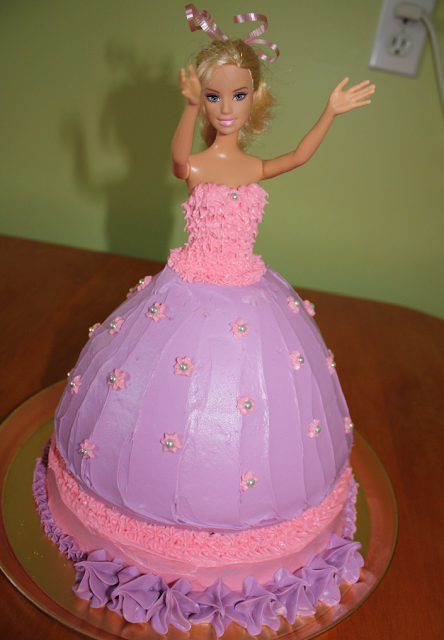 Second post today, with Barbie cake pictures as promised. First of all I'll show some nails! This is an unnamed pink polish I got at a dollar store, and the purple is Claire's Tahiti Purple. I used a black nail art pen for the detail. 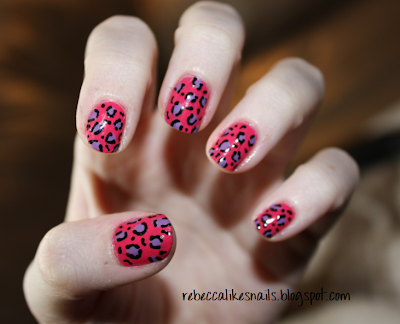 The nail art pens are perfect for this kind of stuff! I'm so pleased with it, and I hope it makes a little girl very happy today! I'm delivering it in a half hour... wish me luck! And the cake is super cute =). I bet that this girl jump through the roof out of joy, I sure would if I got a cake like that =). thank you! :) and yes, she was very happy! OH MY GOSH FLASHBACK CAKE.